Tomorrow is the traditional memorial of St David of Wales. It is more than a tragedy that, with the exception of St Patrick, much of the great Celtic-Christian heritage is being forgotten. After noting that St Patrick himself was likely a native Welsh-speaker, I wish to draw attention to St David of Wales, a towering figure of Celtic Christianity in his own right. Building on what we remember, St David is to Wales what St Patrick is to Ireland, that is, an apostle, one who was sent by Christ through the power of the Holy Spirit to preach the Gospel. By most accounts, David lived his entire life in the sixth century, that is the 500s, but that is far from firm. If we were bound his life from the earliest possible dates to the latest it would stretch from 462 to 601. He was a native of Wales, not someone who came from somewhere else, like St Patrick, who first went to Ireland as a slave before being sent back as a herald of the Gospel. St David's mother, Non, is also revered as a saint, as is his teacher, Paulinus. St David's Cathedral stands on the site of a monastery he founded. Most of what we know about St David is taken from the Buchedd Dewi, a hagiography written by Rhygyfarch in the late 11th century. 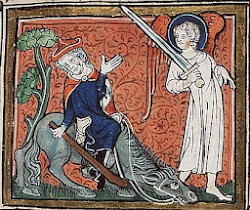 While it is probably true that some of this account of David's life was taken from documents the author found in an archive, it is almost certainly not true for the entire account. Rather than finding this disturbing in any way, this is where things take a peculiarly Welsh twist: in Rhygyfarch's day the Welsh church was seeking to establish some independence for itself (something that, at least in my view, would've been healthy given the subsequent history of Christianity in Wales). The Welsh church had refused the Roman rite until the 8th century. In the 11th century the Welsh church sought a metropolitan status equal to that of Canterbury. This is likely the reason for the apocryphal story of David going on pilgrimage to Jerusalem where he was anointed as an archbishop by the patriarch. 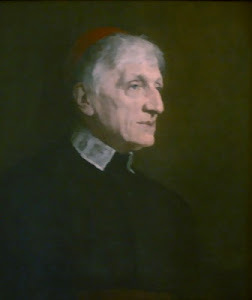 David can truly be said to have served as bishop and, later, as archbishop. He established several monastic communities and authored a monastic rule that was quite severe. For example, his rule prescribed that monks had to pull the plough themselves without draught animals. Further, it stipulated that the monks could only drink water and only eat bread with salt and herbs. David himself was known for his austere and ascetic lifestyle. He ate no meat and did not drink beer. 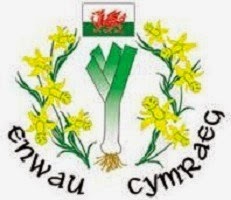 It is partially due to this that St David's symbol, which is also the symbol of Wales, is the leek. In a recent edition of the Roman Martyrology (2004), David's memorial (he listed with the Latin name Dávus) is confirmed as 1 March, the traditional date of his death. While David was Welsh and lived his life in Wales, his leadership resulted in many monks being sent to spread the Gospel throughout Wales, Ireland, Cornwall and other places as well. Here is a link to a BBC article from 2010 on the now complete restoration of St David's shrine: "Pilgrim's progress for St David's Shrine." 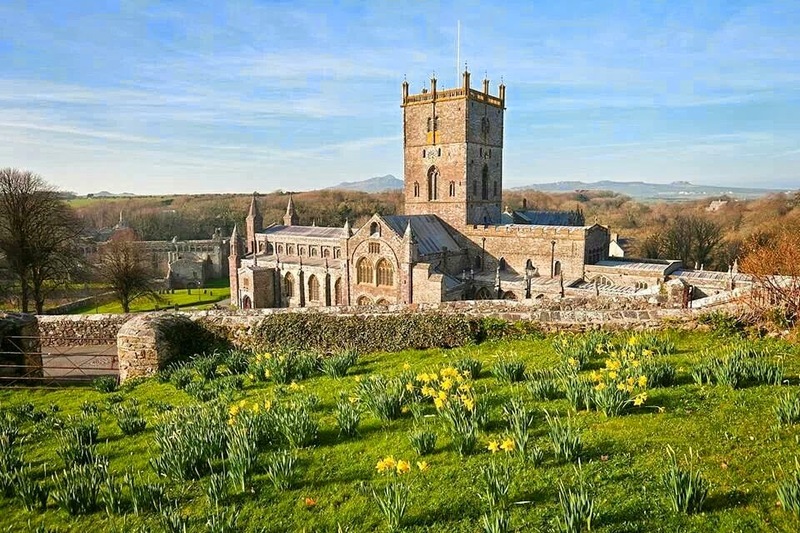 In addition, here's a BBC introductory piece on St David. 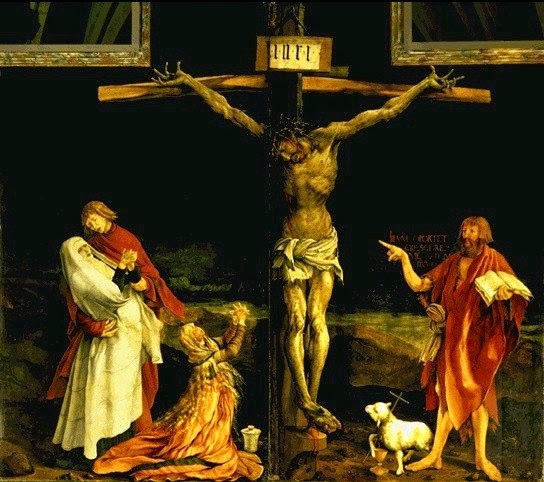 "And victory remains with love"
If all of this seems crude and terribly unsophisticated, even from a theological perspective, I would strongly urge you to lean into Lent much harder. As we saw the Sunday before last (see "Who can make me whole again?") sin is deadlier than leprosy, as well as deadlier than anyone or anything else that can kill the body. We all need healing. 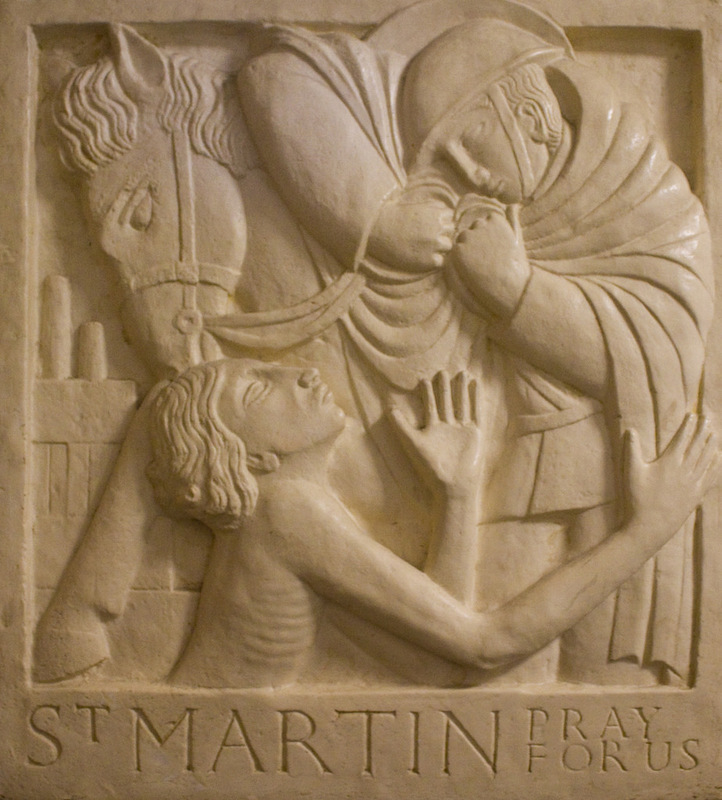 The kind of healing Jesus came to give is the kind He gives to the paralytic man whose friends, at the beginning of the second chapter of St Mark's Gospel (2:1-12), lowered him down in front of the Lord, who then said to the paralyzed and bedridden man, "Child, your sins are forgiven" (Mark 2:5). 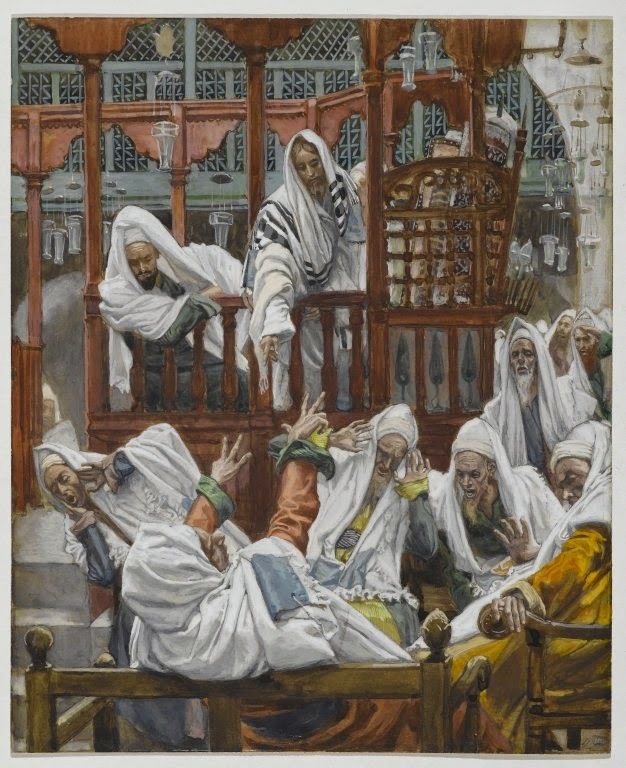 It was only in order to demonstrate that He possesses the power to forgive sin that He physically healed the man, saying, "'But that you may know that the Son of Man has authority to forgive sins on earth' - he said to the paralytic, 'I say to you, rise, pick up your mat, and go home'" (Mark 2:10-11). 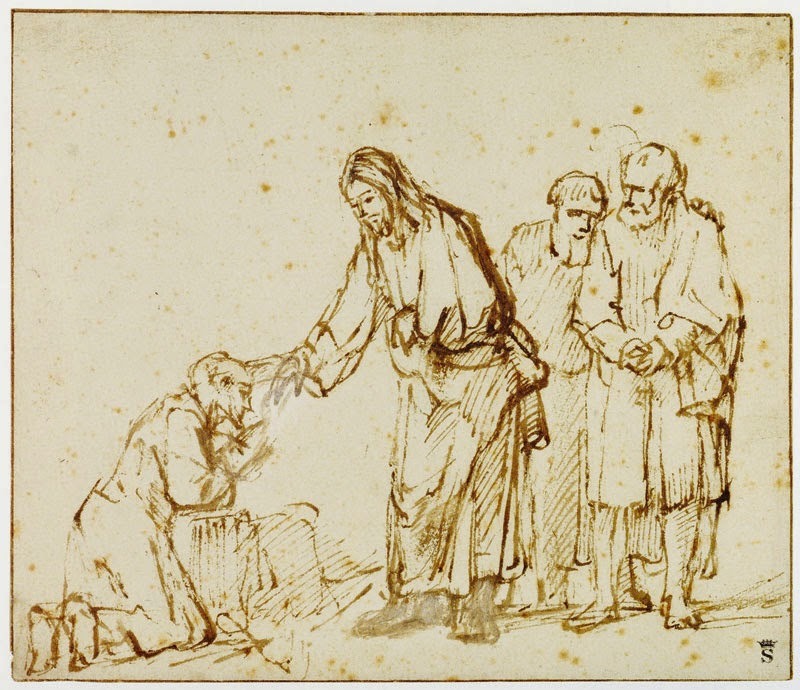 We read about scenes like the one in which Jesus healed the paralytzed man throughout, not just the Synoptics (i.e., Matthew, Mark, and Luke), but all the Gospels. Another example that stands out is Jesus casting demons from the Gerasene demoniac in the eighth chapter of St Luke's Gospel. This poor man was naked and "did not live in a house, but lived among the tombs" (Luke 8:27b). When Jesus stepped out of the boat, which made its way across the Sea of Galilee from Galilee to Gerasa, He was greeted by this tormented man. Just as in the synagogue, the Lord is addressed by one of the demons who possessed the man. The demon who recognized Jesus, greeted Him saying, "What have you to do with me, Jesus, son of the Most High God? I beg you, do not torment me!" 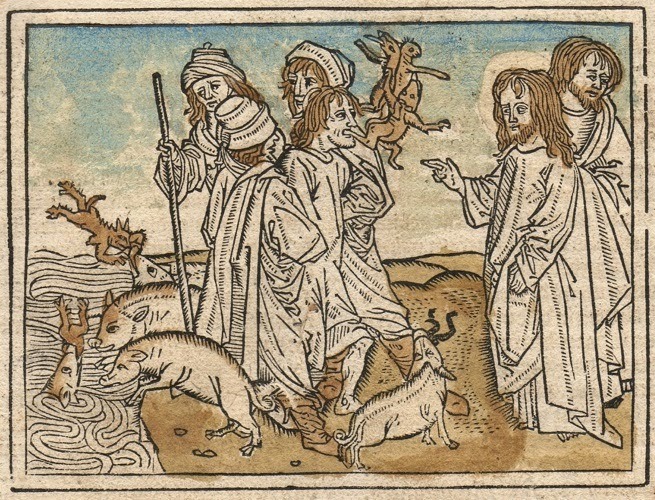 Jesus, after a brief interrogation, then proceeded to cast them out of the man and into a herd of swine, thus restoring the man to his right mind. Jesus' manifest power over the spirits caused the Gerasenes to fear Him. As a result of their fear, they asked Him to leave them, which He then set about doing. But the man who Jesus healed asked to come with Him. Jesus told the man, "Return home and recount what God has done for you" (Luke 8:39a). 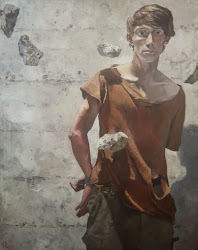 This man, formerly crazed, out of his mind, who lived naked, dirty, alone, and often chained up, but was now restored, heeded what the Lord told him to do, apparently without complaining, or remonstrating with Jesus: "The man went off and proclaimed throughout the whole town what Jesus had done for him" (Luke 8:39b). Consequently, he was behind in the rent, his wife had begun to pawn their furniture, and there was little food on the table. One day he went to a Christian temperance meeting and turned his life around. He stopped drinking. Now there was food on the table and money for the rent. His family was delighted. However, his co-workers were not; they had lost their drinking buddy. They teased him endlessly, and one day one of them asked him sarcastically "Do you really believe Jesus Christ turned water into wine?" The man answered, "I don’t know about that, but if you come over to my house I’ll show you how he turned beer into furniture!" Recalling and recounting what Jesus has done and continues to do for me strikes me as a very good Lenten practice. In my estimation, St Mark's Gospel is beautiful for what I like to call its fierce brevity. Our Gospel for this First Sunday of Lent, which tells us about when Jesus emerged from the wilderness after spending 40 days fasting and praying, all the while being tempted by Satan, as well as being ministered to by angels, is one of my favorite Gospel passages. Jesus came to usher in the reign of God, the kingdom of God. Of course, the kingdom will not be realized in full until His return in glory. In the meantime, Jesus' disciples, whom Dallas Willard helpfully designates "apprentices," are to be about the work of establishing God's reign, which is not only not of this world, but stands in stark contrast and even contradiction to it. Bringing about God's kingdom, being small pockets where God reigns supreme, is really what the Church, the ekklesia, the assembly, exists to do/be. The beginning of the kingdom, which is within us, is repentance. I think it's important to note that, according to Jesus, repenting comes before believing. Very often we think believing precedes repenting, but this is to reduce faith, pistis (the word translated in this passage as "believe"- which, I think, is a very weak translation) merely to intellectual assent to a proposition or proposal. As we saw a few Sundays ago (see "If today you hear his voice, harden not your hearts"), even the demons believe that Jesus is Lord. The Greek word used in this passage for "repent" is a variant of the word metanoia. 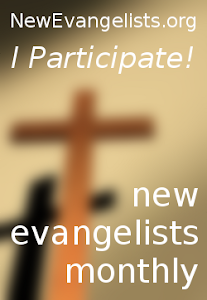 Metanoia is a call to literally turn around, to have a change of mind, a call to convert. It's easy to lose sight of the ordinary way words are employed theologically; to convert simply means to change from one thing into something else, as in "She converted a trash can into a lovely planter in which she now grows flowers." Hence, the call to those would heed Jesus is to be transformed, converted, not into something, or someone, else, but precisely into who God created and redeemed you to be. We call the process of conversion "sanctification," being made holy, which is the vocation of all the baptized. 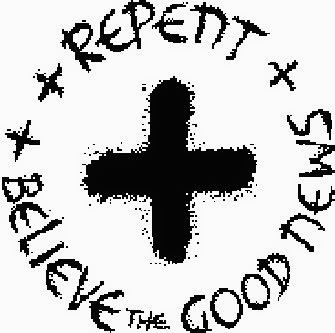 It is significant to note that, in addition to the older and more familiar "Remember you are dust..." formula, the other statement the Roman Missal gives us for the imposition of ashes on Ash Wednesday, which is right out of today's Gospel, is- "Repent, and believe in the Gospel." As for the word "believe" in our passage today, it is, as alluded to above, a weak translation of a variant of the Greek word pistis. In koine Greek pistis is to gnosis what faith is to knowledge in English (the two are not opposed, but complement each other). Pistis means being persuaded and, as a result, coming to trust. This happens through experience, which is why repenting precedes believing. As used in non-scriptural ancient Greek texts, pistis referred to a guarantee, or a warranty. So, generally-speaking, when used in Scripture, pistis (i.e., faith/believing) is God's warranty, or guarantee, which we can only trust by experiencing it for ourselves first-hand. Jesus is God's guarantee. Hence, Jesus' call to repent is a call to trust Him when He says, "This is the time of fulfillment. The kingdom of God is at hand. Repent and believe [this] good news." In the first volume of his trilogy on Jesus, Jesus of Nazareth: From the Baptism in the Jordan to the Transfiguration, Pope Emeritus Benedict XVI noted that Jesus is "called autobasileia, that is, the Kingdom in person. Jesus himself is the Kingdom; the Kingdom is not a thing, it is not a geographical dominion like worldly kingdoms. It is a person; it is he" (49). In this dimension "Jesus leads men to realize the overwhelming fact that in him God himself is present among them, that he is God's presence" (49). Of course, after His death, resurrection, and ascension Christ sent the Holy Spirit, which, as Luke Timothy Johnson, in his book Living Jesus: Learning the Heart of the Gospel, pointed out, "is the mode of Jesus' resurrection presence to the world" (15). In his song "Live This Mystery," Michael Card sang, "The mystery of life in Christ/Is Christ can live in you." Christ can live in you by the power of the Holy Spirit, which is why the kingdom of God is within. Everything hinges on your inner transformation, your repentance, you conversion, which is Christ's work, done by the power of the Holy Spirit. Christ's work is your work, if you are His disciple, His apprentice. As a result, this work, which is designed to lead you to the Cross and beyond so that you may take hold of the life that is truly life (1 Tim 6:19), requires your full, active, and conscious participation . Hearkening back to our first reading, Jesus did not come merely to usher in the "new and everlasting covenant" between us and God. Jesus is the new and everlasting covenant between us and God, as we concretely experience each time we receive Him in the Eucharist. 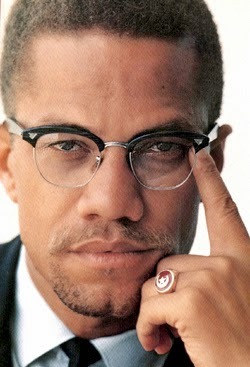 Perusing my Twitter feed this morning I ran across a link to Tim Stanley's article in Great Britain's Telegraph newspaper alerting me to the fact that today is the 50th anniversary of the assassination of Malcolm X: "Malcolm X's assassination robbed the world of a Muslim civil rights visionary." At least from where I sit, I think Stanley is spot on (see "MLK/Human Rights Day- X Factor Ed(Add?)ition"). 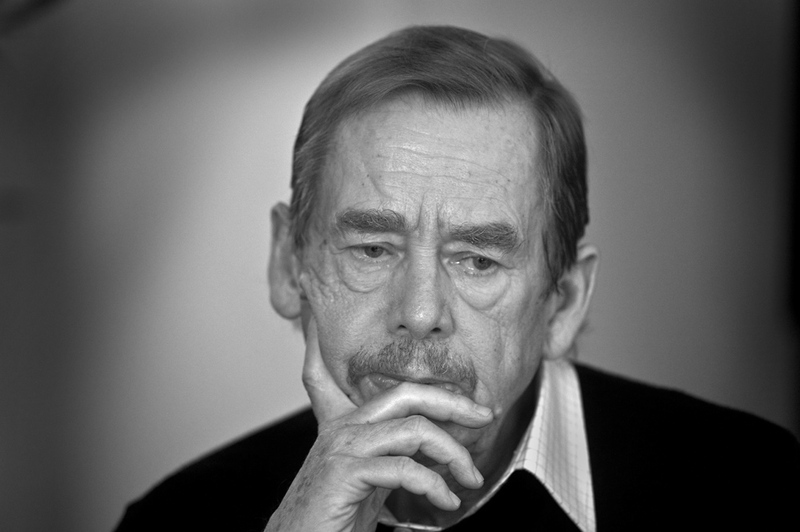 Stanley begins his article by noting that, at the time of his murder at the hands of agents of the Nation of Islam (the radical group with which he had be associated until his conversion to Sunni Islam), Malcolm was not held in high esteem, even by the liberal media. It is not much of an exaggeration to say that, in many quarters, his untimely death was seen as something largely positive. "Fifty years on," Stanley notes, "Malcolm’s reputation is very different. With a better understanding of what Malcolm really thought and what he really stood for, he now stands out as a prophet of the civil rights era and the embodiment of black pride." In terms of religion, Malcolm was not content to wait for an ethereal kingdom that was to come, a view tailor-made to let the gross injustices he experienced first-hand as a black man in the twentieth century United States stand. This is perfectly consistent with Pope Francis' call to the Church this Lent to resist what he calls "a globalization of indifference." In His own words, our Lord told us that He was sent "to proclaim freedom for the prisoners and recovery of sight for the blind, to set the oppressed free" (Luke 4:18). Because we're not angels, there is no such thing as "spiritual liberation" that does not also include both mind and body. "Nowadays," Stanley points out, "we’ve been trained by media portrayals to see Islam as politically radicalising and divisive." It is important not to forget, he continues, that Islam "helped transform Malcolm from a black leader who preached separation into a proponent of the hope that African-Americans could advance as part of a broader coalition with oppressed people – something closer to a socialist. Now advocating democratic participation." 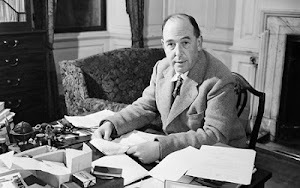 As proof, Stanley cites this quote of Malcolm's, made after his conversion from the weird sectarian version of Islam espoused by the Nation: "It's time for us to submerge our differences and realize that it is best for us to first see that we have the same problem, a common problem — a problem that will make you catch hell whether you're a Baptist, or a Methodist, or a Muslim, or a nationalist." It would've been a shame pass over this anniversary in silence. No matter what your view of Malcolm X, who was murdered when only 39 years-old, I hope we can all agree that we were deprived of a valuable voice and, at least in my view, we've been poorer for it. It seems fitting, more than fitting, that King's College Choir singing Psalm 51, known by its first words in Latin, Miserere mei, Deus ("Have mercy on me, O God") is our Friday tradito for this first Friday of Lent. Of course, Psalm 51 is the first Psalm for Morning Prayer each Friday. 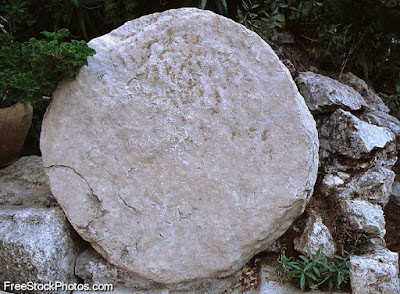 Just as all Sundays, including those during Lent, are, in effect, "Easters," that is, celebrations of our Lord's resurrection, all Fridays, excepting those on which a Solemnity falls, are "Good Fridays," that is, a day we recall the greatest act of love imaginable. God is kind and merciful, slow to anger and quick to forgive. In short, God so loved the world that He sent His only begotten Son to ransom us from sin and death. Jesus did not come into the world to condemn the world, but to save it (John 3:16-17). The word "Lent" comes from the old English, "lencten," which means "spring." So, Lent is a time of re-birth. Lent prepares us to renew our baptismal promises at Easter. Lent is not a time for despair, but a time of joy born of hope and gratitude. Since sharing my views on things these days seems to anger quite a few people, I'll go ahead and lead off my post for Ash Wednesday by simply stating that chief among the questions I truly despise is, "What are you giving up for Lent?" In the first place, it's none of your business- pray, fast, give alms in secret and all that (Matt 6:1-8.16-18). I know, God knows, and my spiritual director knows. Among my reasons for disliking this question is not because what I am giving up is some great secret, or that I would never tell anyone. Along the way I may well divulge some of what I am doing and not doing for Lent. Primarily it is because these things are means to an end, not ends in themselves. Let's be honest, the reason most people ask others that question is because they're dying to tell the person they ask what they are giving up. At the expense of sounding harsh, I don't care what you are giving up for Lent. Even so, may God draw you closer Himself through whatever you're doing or not doing for Lent. I am not in a position to say if my approach to Lent over the years is typical or not. Suffice it to say for many years I was pretty indifferent to Lent as a season of doing anything extra. 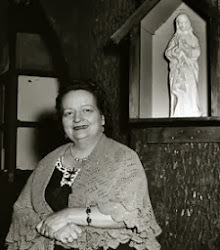 From the time I became Catholic in 1990 until about 2006 or 2007 I simply endeavored to do what the Church asks of me: to fast on Ash Wednesday and Good Friday and abstain from the meat of warm-blooded animals on Fridays of Lent, unless a solemnity, like the Annunciation or St Joseph, fell on Friday, or possibly St Patrick's day, when the bishop might issue permission to forego Lenten discipline. But for several years, beginning around 2006-2007, I became a kind of Lenten enthusiast, who sought to go over and above. Over the past four or five years I have found a ways of observing Lent that help me strike a better balance and stay focused on what this whole exercise is about: drawing closer to God through Christ in the power of the Holy Spirit. There are two quotes that have helped me enter into and, dare I say, benefit from Lent the past few years. The first is by James Kushiner, an Orthodox Christian, who succinctly noted- "A discipline won’t bring you closer to God. Only God can bring you closer to Himself. What the discipline is meant to do is to help you get yourself, your ego, out of the way so you are open to His grace." This helps me to think about what I might give up, that is, not do, for Lent as well as what I will do. His point, at least as I take it, is, You are loved by God and whatever you do or choose not to do for Lent must have this as its basis. The ashes we receive are a sign of hope, not despair. Let's not forget that even though Lent is penitential, penance that is truly Christian is joyful. In other words, there is no need during Lent to pretend that Jesus Christ isn't risen from the dead and reigning at the right of the Father, or that the Holy Spirit goes AWOL for six weeks each year. It seems to me that there are three fundamental spiritual disciplines taught us by our Lord Himself that constitute any genuine Christian spirituality. 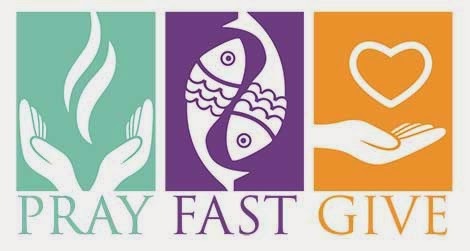 The Church reminds of these each year in our Gospel passage for Ash Wednesday: prayer, fasting, and alms-giving. One way to look at these is that fasting is what you plan to give up (i.e., not do) during Lent, alms-giving is what you plan to do positively for others. Prayer? Prayer is really and truly the bedrock of life of with God, of Christian life. Prayer is something almost all of us need to "waste" way more time doing. Fasting without prayer is dieting. Alms-giving without prayer fails to bring hope, to meet the deepest human need, the need that only One can meet. My prayer for everyone reading this is that God will draw you closer to Himself during this holy, joy-filled, season. Who can make me whole again? "I do will it. Be made clean." It's difficult for me to imagine any words Jesus could speak that would be as beautiful as these words spoken to this leper. Time and again, after caving into what Francis Spufford, in his book, with which I have a few qualms, but one that also bothered me in all the right ways, Unapologetic: Why, Despite Everything, Christianity Can Still Make Surprising Emotional Sense, dubs the HPtFtU (i.e., Human Potential to F@*# things Up- an original name for original sin), I come to Jesus and say to Him, "If you wish, you can make me clean." This potential, which for me is a tendency, at least with regard to certain things (more than I care admit), is more deadly than leprosy. The Lord Himself warned His followers not to "be afraid of those who kill the body but cannot kill the soul," but "be afraid of the one who can destroy both soul and body in Gehenna" (Matt 10:28). As a result, I have an unhealthy fear of myself. Never yet, even once, has Jesus withheld His mercy from me. Each time He says, "I do will it. Be made clean." I don't know why He gazes on me with such tenderness. I have no clue as to why my plight moves Him to pity. I am stubborn, prideful, recalcitrant (look it up- see 2b). That I need Jesus is good news, indeed. It's the best possible news there is, which is why, like the cured leper in today's Gospel, I can't help but tell others not only what Jesus has done for me, but what He continues to do for me, even as I try not game His love and mercy by living in a presumptive manner. 'Death is swallowed up in victory. Where, O death, is your sting?'" (1 Cor 15:54-55). It's hard to believe that this is my 2,900th post here on Καθολικός διάκονος. 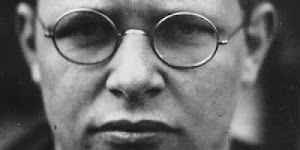 The question, it seems to me, is not, "Are we saved by faith or saved by works?" We're saved by faith. Since faith, along with hope and love, is what we call a "theological virtue," that is, a gift from God, saying we're saved by faith is just another way of saying God saves us. Acknowledging that it's God who saves us means we also accept that we don't save ourselves. We know that faith without works is dead (James 2:17). As per the second part of Pope Benedict XVI's first encyclical, Deus caritas est, I believe the opposite is also true. (i.e., works without faith are dead). If faith is a verb, then works are faith in action. From whence cometh our criteria for good works? From the teaching of Jesus Himself throughout the entirety of the Gospels, in places like the twenty-fifth chapter of Matthew, to pick just one. I pick this one because recently I was exposed to the most eccentric reading of this passage I have ever encountered, one that would render Jesus' teaching utterly incoherent. The relevant question, then, is, What do we mean by faith? More specifically, as the second part of the second chapter of the Letter of James deals with, what is the relationship of faith to life, or, stated in even simpler terms, Why does faith matter? Posing the question Why does faith matter?, brings us back to works without faith being dead. After all, you don't need faith to perform many good works, right? So, what does faith add to works, if anything at all? I'd say faith adds hope to good works, genuine hope. In this dimension the works wrought by faith together with hope, which is the flower of faith, are what make Christian service genuinely charitable. "Lost between tomorrow and yesterday"
It's amazing to me that another week has slipped by, but that's what time does- moves steadily along. It was the pre-Socratic Greek philospher Heraclitus who observed, according to Plato, "You cannot step twice into the same river; for other waters are continually flowing in." For our Friday traditio this week, the last Friday before Lent, we're shifting gears: The Kinks "Back Where We Started" is our traditio. Christians are fond of pointing out, "we live between the already and the not yet." We fervently long for the not yet. Despite Heraclitus' observation, life, even spiritual life, often seems repetitive. Jesus tells His followers: "No one who puts a hand to the plow and looks back is fit for service in the kingdom of God" (Luke 9:62). Yet, like Lot's wife, we sometimes can't help ourselves. I think this longing is a huge factor as to why so many people eagerly come to Church on Ash Wednesday. My prayer for each and every person who comes is, May God grant you what you seek. Of course, in the end, God is the fulfillment of our deepest longing. This is precisely why, in my view, God meets us where we're at and leads along our unique path to Himself. There is no predictability as to how God manifests Himself. Nobody has a "God matrix predictability tool," or "God alogorithm." Thanks be to God for that! 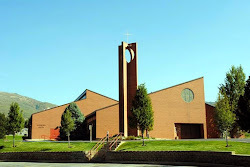 I’m a churchgoing Catholic, and I do that as a matter of, it’s good to stand with my family. It’s good that I didn’t have to come up with my own creation myth for my children. It’s a wonderful … community. It’s not really where I find God. The accommodation I’ve reached is a very jerry-rigged one, which is: All along the way, in recovery, I’ve been helped without getting into specifics of names, by all of these strangers who get in a room and do a form of group-talk therapy and live by certain rules in their life — and one of the rules is that you help everyone who needs help. And I think to myself: Well, that seems remarkable. Not only is that not a general human impulse, but it’s not an impulse of mine. And yet, I found myself doing that over and over again. Am I, underneath all things, just a really wonderful, giving person? Or is there a force greater than myself that is leading me to act in ways that are altruistic and not self-interested and lead to the greater good? That’s sort of as far as I’ve gotten with the higher-power thing. I’m kind of a pirate, kind of a thug. I’ve done terrible things, and yet I’m for the most part able to be a decent person. … I think something else is working on me"
This brings me to the questions, Why The Kinks? Why "Back Where We Started?" For anyone in recovery this kind of honesty about things about yourself is crucial. Pretending will land you right back where you started, then you'll have to listen to The Kinks' "Back Where We Started," which, at least in, my view, is not such a bad thing. But then, sometimes people have a more direct encounter with God. This, too, in addition to being a great grace (where much is given, much is expected- Woe to me if I do not preach the Gospel- use words if you must, etc), is a great mystery. 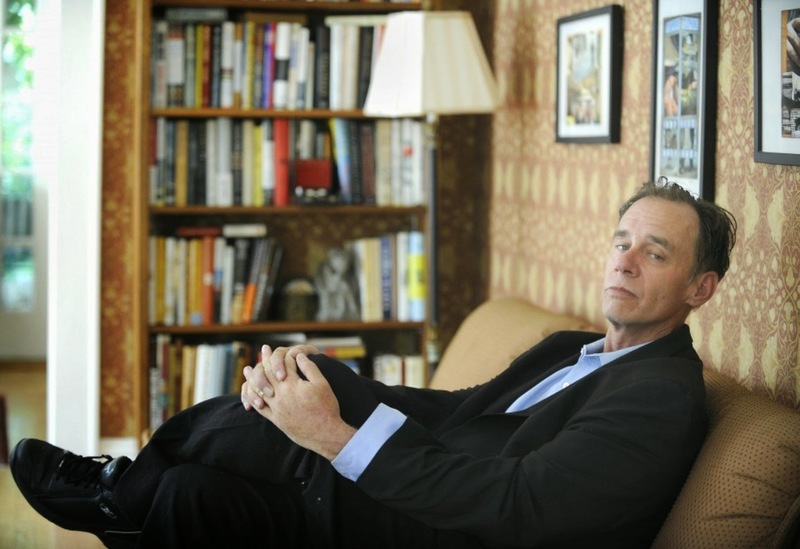 David Carr, requiscat in pace. May you no longer have to see as through a glass darkly as you experience the not yet right now. In our first reading for this Fifth Sunday in Ordinary Time, Job expresses several things that make him our contemporary. Job is surely brokenhearted. He is brokenhearted as the result of what happened to him- his ten children all died, he lost all of his wealth, and was afflicted from head to foot with sores. The way I see it, Job is not so much complaining here, but is simply describing his life as he sees it from the point-of-view of someone, formerly prosperous, who is now mired in great suffering. While his physical affliction surely plays a part, this does not seem to be what Job is most concerned about in this passage. He seems to be losing hope. Loss of hope is called despair. We know, from having read the Book of Job in its entirety, that Job never gives in completely to despair (though he is, understandably, tempted to do so). He continues to trust in God. Rather than meaning "to wish," the theological virtue of hope, which is the flower of faith, means "to trust," specifically, to trust in God. Such trust is particularly crucial when we do not see how, or maybe even doubt that God is able, to bring us safely through our suffering, pain, loss, and most especially, our grappling with death. From a Christian theological perspective, death is not a natural part of life. On the contrary, it is a horrendous disjunction. We will all die, each and every one of us, no doubt about it. Does this cause you to despair, or to trust, or merely to wish- seeing the promise of eternal life as nice, but unlikely? As our Psalm response bids us, we "Praise the Lord, who heals the brokenhearted." What is the remedy for that which ails us, namely death? 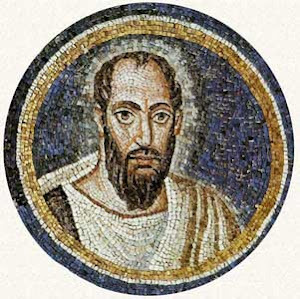 For our answer we turn to what St Paul wrote in his First Letter to the Corinthians: the Gospel of Jesus Christ. Paul, like anyone who is called to preach the Gospel, is eager to be a messenger of hope to those in despair, which is why, "To the weak [he] became weak, to win over the weak." He endeavored to "become all things to all, to save at least some." To those of us who have hope, which, like faith, is a theological virtue, meaning it is a gift from God, not something we deserve or earn, we, like Paul, feel the urgency to share the Gospel with people who live in an often despair-inducing world. Sharing the Gospel, being evangelizers, is where Jesus' two great commandments, to love God with our whole being and to love our neighbor as we love ourselves, most profoundly come together. 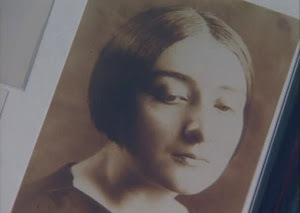 Peter's mother-in-law, whose name we never learn, is a perfect example of what I tried to describe above. 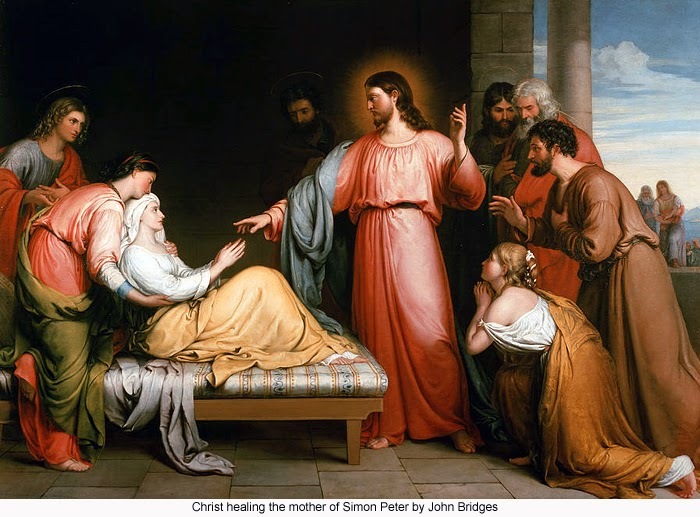 Jesus heals her, cures her of whatever caused her to lay in bed sick with a fever. Once healed, she served. Selflessly serving others is the best way to evangelize. We're all familiar with the over-used quip, attributed to St Francis of Assisi: "Preach the Gospel, if necessary use words." We need to be careful, however, not to use to this saying as an excuse to avoid telling others about Jesus, about the Good News, Who alone gives true hope. After all, St Francis himself preached, which is the only reason he was likely ordained a deacon. The beginning of our Gospel today is a simpler and far more condensed version of what happened to St Paul. If we have received the healing Jesus offers us time and again, especially in and through the Eucharist, then our lives should bear some resemblance to this pattern. The ultimate healing is yet to come- resurrection unto life eternal. Whether this is your hope, or merely a wish you do not really put much stock in, is born out by how you live. "Be Thou my Dignity, Thou my Delight"
It's difficult to believe that the first week of February is nearly over. It seems impossible to me that it's time to post another traditio. This week, again, I am sticking with posting a contemporary Christian song, well, a contemporary version of ancient Christian song that was contemporary in the 8th century. It's no exaggeration to point out that Michael Card's music, over the years, has given me much spiritual succor and strength. Our traditio for this First Friday of February (quite alliterative) is Michael Card singing the lovely hymn, "Be Thou My Vision" from his wonderful album Starkindler. 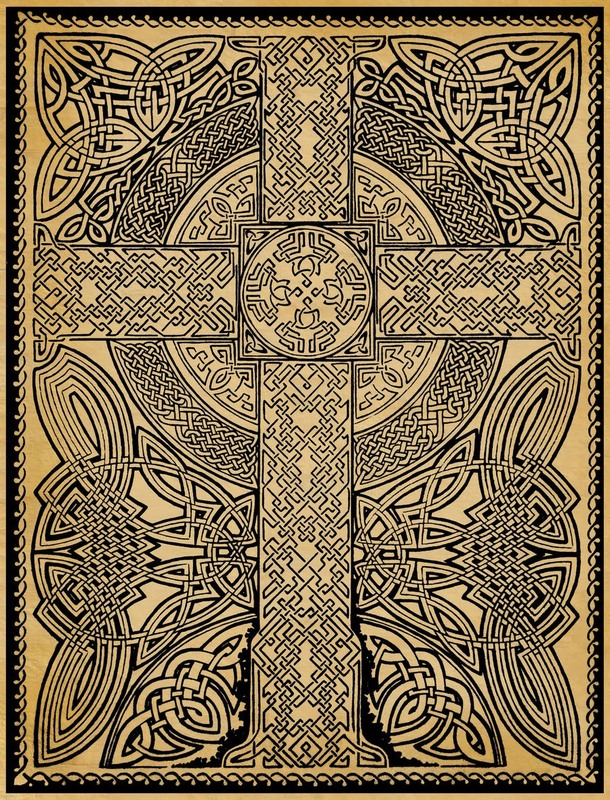 It is reckoned that this Celtic hymn (originally Rob tu mo bhoile, a Com­di cri­de) was composed all the way back in the 8th century by Dal­lan For­gaill. It was trans­lat­ed from an­cient Ir­ish into Eng­lish in 1905 by Ma­ry Byrne, in Eriú, Jour­nal of the School of Ir­ish Learn­ing. It was set to verse by El­ea­nor Hull around 1912. "If today you hear his voice, harden not your hearts"
In the Letter of James, immediately following the exposition on the necessary relationship between faith and works, we read: "You believe that God is one. You do well. Even the demons believe that and tremble" (2:19). I can't think of a more succinct way of summarizing what we hear in today's Gospel reading for this Fourth Sunday in Ordinary Time. In this reading from the first chapter of Mark's Gospel we see Jesus giving an outward demonstration of His authority, which was made clearly manifest in His teaching at the synagogue in Capernaum that sabbath day. He did this by casting an unclean spirit out of a man through whom this spirit spoke words of recognition and fear. Once again, this is not a case of Jesus healing a man who was mentally ill. It is a record of Jesus casting out a demon. Paired with our first reading from Deuteronomy, this shows that Jesus is the fulfillment of the prophecy attributed to Moses: "A prophet like me will the LORD, your God, raise up for you from among your own kindred; that is the one to whom you shall listen" (Deut 18:15). Jesus demonstrated His authority on a number of occasions by performing signs and wonders. His own attitude, as far I an tell, towards the signs and wonders He performed was ambivalent at best. "Anyone who will not listen to my words which the prophet speaks in my name, I myself will hold accountable for it" (Deut 18:19). In the account of the Lord's Transfiguration given in St Mark's Gospel, after the appearance of Moses and Elijah, indicating that Jesus is the fulfillment of the law and the prophets, a cloud overshadowed Peter, James, and John. They heard the voice of the Father saying, "This is my beloved Son. Listen to him" (Mark 9:7). Merely believing that Jesus Christ is Messiah, Savior, and Lord doesn't get you any farther than it did the unclean spirit that day in Capernaum. In fact, like the demon, such a recognition can be a source of fear and anxiety. This is not what He wants for us. What is lacking, then? You need to hear Him, to listen to Him, and respond in trust to what He says. 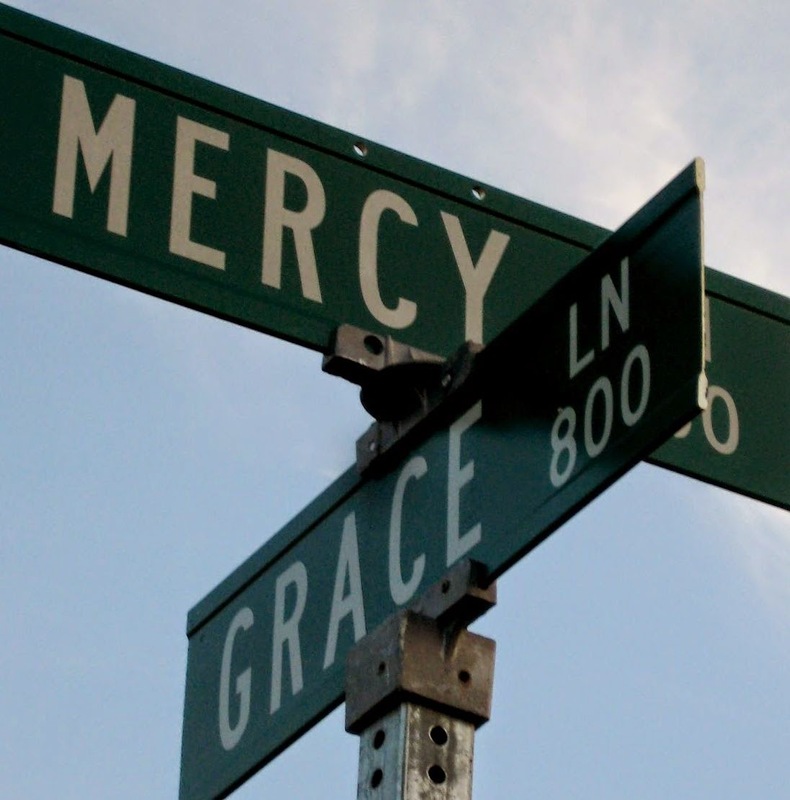 You can do this in the confidence that His grace will help you respond and His mercy attend you when you fail. With that in mind, What is Jesus saying to you? How is He calling you to more faithfully follow Him? Do you take time to listen so that you may hear Him speaking to you by means of His Holy Spirit? When you hear the voice of Jesus, listen and do not, harden your heart.